I have partnered with Nancy Reinhardt by offering pregnancy massage to her doula clients, to help prepare the moms-to-be prepare to labor or help the body to process birth-related pains after it is over. My love for birth is rooted in the mountains. I attended my first birth in Leslie County, Kentucky in 1998 while interning for the Frontier Nursing Service. Since that time, I’ve been through four births myself, each presenting its own unique gifts. I’m a proud momma of Palden (d) Maitreya (2009) and Anjali (2011). In one of life’s strange circles, I’m now employed at Frontier Nursing. To tell you a little more….I have served in Peace Corps Armenia as a health volunteer, am a certified / registered yoga teacher (RYT 200), and hold a Master’s in Public Health and a Master’s certification in Women’s and Gender Studies. I have also had the good fortune to study with several amazing spiritual teachers over the last ten years. I’ve been teaching and practicing yoga for more than a decade. I also practice regular meditation. Aside from having given birth, I believe my experience with these practices is the most helpful training I bring to my doula service. 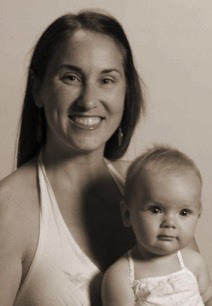 I am a certified doula - (CD)DONA and aim to live up to the privilege of attending births everyday! Learn more about Nancy and her services here.